PROLINK has provided professional and personal insurance solutions to Independent Contractors for over 11 years! The insight we've collected means that we can help you protect yourself with superior insurance coverage at unparalleled rates! At PROLINK, we can help you feel confident that you have the right protection. We believe in personal relationships. We value knowing you, and taking the time to understand your unique situations, so that we can provide you with genuine advice and follow-through. Our named, dedicated advisors will take a holistic view of your lives and explain all of your coverages and potential exposures, so that you can make educated decisions. As a result, we’ve seen insurance from every perspective. Wherever you’re coming from, and whatever you need, we’re your one-stop-insurance-shop. You can depend on us for the protection you require. We represent a network of insurers. We know their strengths, their weaknesses, how they’ll assess you as a risk, and how they’ll treat you in the event of a claim. Plus, as one of Canada’s largest national brokerages, we have the buying power and influence required to advocate for you and your needs with the various insurers. As an independent insurance brokerage, we are not obligated to sell you on a particular insurer. Instead, we’ll evaluate the available offerings and the discounts you are eligible for, to bring you solutions to best fit your life. "It was a very easy and painless process to obtain an insurance certificate. As a first time contractor, it had been confusing and frustrating reaching out to insurance providers about liability coverage. This was not the case at all with PROLINK. I was able to complete my application and obtain my certificate in under 2 minutes through my mobile web...the price point was very reasonable." "Very easy and straightforward application process, and your prompt responses were greatly appreciated." Learn about our professional insurance solution tailored to the needs of Independent Contractors. Our tailored offer for Independent Contractors (in Accounting/Finance, Administration/Clerical, IT, Management Consultants, or Technical/Engineering fields) includes both Professional Liability Insurance and Commercial General Liability Insurance. 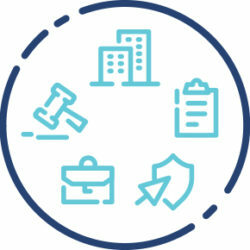 Together, our program will protect you from claims relating to professional negligence and other errors within your scope of practice, as well as third party injuries, property damage, and more! Contact PROLINK to apply online today! 1. Why should I buy insurance? Independent contracting provides some of the best employment and career perks imaginable. The independence and variety is unparalleled. However, at the end of the day you are still self- employed and must protect yourself and your family from lawsuits that may arise. Why would you take the risk? 2. My staffing company has insurance, so I don’t need coverage, right? As an independent contractor working through your member staffing company you are by definition independent and thus responsible for your actions. Were it otherwise, you would be an employee. All Independent Contractors should protect themselves. 3. Why do I need to buy insurance now? You cannot wait to buy insurance until “the barn is burning" and then "opt in". You must enroll before an incident occurs in order to qualify for protection. 4. Who can buy a policy? You must be an Independent Contractor working on behalf of your member staffing company in order to be eligible for coverage. 5. How do I buy? You can buy coverage securely online. We will send you an email link where you can complete the application using your phone, tablet, laptop or desktop.Once purchased, we will email your Certificate of Insurance, policy documents, a receipt, a completed application and a privacy disclosure document. 6. What if I don't receive the email? Sometimes the email may end up in your SPAM folder. Please check there. If you still don't have the email, please contact your PROLINK Connection. 7. What if I no longer have the email? Don't worry, we can send you another one. Just contact your PROLINK Connection. Coverage is effective the date you sign up (or the starting date you select) AND your payment is received. Coverage CANNOT be backdated. 9. In whose name will the documents be issued? If you are incorporated, and the sole employee, the insurance documents are issued in the name of your corporation. As an employee of your incorporated company, the coverage automatically extends to you. If you are a sole proprietor (unincorporated) the documents will be issued in your name personally. 10. Do I need to confirm coverage to my member staffing company? You should forward your Certificate of Insurance to your staffing company as proof of coverage and to fulfill your contractual obligations to your staffing company. 11. How do I renew or extend my coverage? Before your policy expires, you will receive a reminder email containing a link to renew. Please click this link to renew your policy. 13. I see that the program includes two policies. What are these and why do I need both? Both the Professional Liability and Commercial General Liability ("CGL") policies are required to adequately protect you if you are incorporated or a sole proprietor. The Professional Liability coverage protects against mistakes which cause financial loss to a third party. Commercial General Liability coverage is focused on protecting you from claims as a result of Bodily Injury or Property Damage to a third party for whom you are legally liable. It is important to note that both your staffing company and their client are third parties. 14. Will the Independent Contractors' Program protect me for my own consulting activities (with other clients) that I also perform from time to time? NO. The Independent Contractors' Program only protects you for claims arising out of the work you do on behalf of your member staffing company.Please contact PROLINK to discuss options to insure all of your activities. 15. What services are covered? The policies cover the following services: Accounting/Finance, Administration/Clerical, Information Technology, Management Consultants, and Technical and Engineering. Please note there are some limitations/restrictions. Refer to the policy wordings. 16. Does the policy cover legal fees? All defense costs (subject to policy limits) are covered. ENCON (the insurer) has access to some of the best lawyers in the country. 17. What is the deductible? There is a $1,000 deductible. Note however that this deductible does NOT apply to your defense costs. HOLD ON! Your current policy provides coverage for work which you do/have done for all of your past clients and projects. The policy is limited to claims arising out of work you do under contract with your member staffing company. It is effective from the day you join and forward. It will not protect you for mistakes which you made before coverage was initiated. Your current policy will protect you in those circumstances. Serious consideration should be made to retain your current policy even though it is costing you considerably more. 19. What are the payment options? Credit card is the only method of payment for this program. 20. What happens if I am named in a lawsuit (either personally, corporately or both) and I DON'T have this OR ANY coverage? Without coverage, you must rely on your own resources to fund a defense and pay any judgments, which are awarded against you. 21. What happens if I am named in a lawsuit (either personally, corporately or both) and I DO have this coverage? 22. What happens if I leave my staffing company and a claim arises several months later? The Professional Liability policy will respond to any claims which manifest for up to 6 months after your coverage has expired. The Commercial General Liability policy will respond to incidents for bodily injury and property damage which occurred only during the actual term of coverage. 23. What if my contract ends early and I don't want to pay for coverage while no longer working on behalf of my member staffing company, what do I do? Simply contact our office and we will make arrangements to cancel your coverage on your behalf. Your life is complicated. Selecting your insurance doesn’t have to be. Learn how we can help make your life simpler. On any given day, someone could slam into your car during the morning commute, or your basement could flood causing thousands of dollars of damage. These—along with any number of other scenarios—have the potential to disrupt your life and bring you emotional distress and financial strain. At PROLINK—Canada’s Insurance Connection it’s our job to worry about which coverages you need and which risks you face so that you don’t have to. 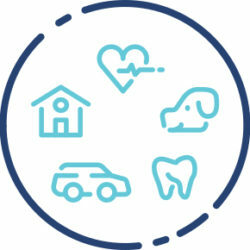 With over 30 years of experience and access to over 30 insurers, we can offer you a choice of insurance solutions, price points, and other benefits. Wherever you’re coming from, and whatever you need—we’ve been there and done that. You can depend on us for the protection you require. Plus, as a member of the NACCB, you can save up to 20% on your Home and Auto Insurance! Contact us for your no-obligation quote today! As an independent professional, you probably don’t have access to traditional employee benefits like Health, Dental, and Drug coverage. Yet, you’re still susceptible to the same health problems as anyone else. Unfortunately, expensive treatments, prescriptions, and high-cost dental work always seem to pop up when you’re least expecting them. And when these unpredictable events occur, they also come with a serious potential to derail your budget. But it doesn’t have to be that way. PROLINK can help. Our plans cover Health, Vision, Dental, and Drugs, and can get you access to 15 Paramedical services such as Massage, Chiropractic, Physiotherapy, and more. We will take the time to understand you, your needs, and your family, and offer you an affordable solution that fits your life, perfectly. To learn more, contact PROLINK today. Most people don’t like to think about Life Insurance. That’s because it’s a complex coverage that only activates as a result of an insured’s death due to natural or accidental causes. It can be painful to imagine all that would come to pass in the event of one’s death—even for a split second. We can appreciate that. But if something were to happen to you, could your family or loved ones recover financially without feeling a serious strain on their assets? A rich Life policy can help them get back on their feet, should something occur. So pass the pain over to us. At PROLINK, we will take the time to understand you, your needs and your family. Then, we will offer you a best-fit solution for you and those you care about that is affordable and offers the long-term protection you and they will require. Contact PROLINK to evaluate your options today! Medicine has allowed people to live both through and with serious illnesses at higher survival rates than in the past. However, such sicknesses often come with many direct and indirect costs. Certain drugs and treatments are not covered by typical health plans, while some of the latest healthcare innovations are only available in the US. Indirect costs can encompass anything from travel expenses to child care, and more. Unfortunately, most people don’t intuitively know to account for these things. If you were to get seriously sick, Critical Illness coverage can provide you with a lump sum that you can leverage in whatever way best fits your needs. Once it’s been paid, there are no restrictions as to how you decide to spend it—whether that means hiring a nurse, making your home accessible, taking a vacation or even paying off a portion of your mortgage. PROLINK can help you access the best that medicine has to offer by providing you with a customized Critical Illness policy that is cost-effective and will give you the long-term financial flexibility you will require. When you plan a trip, you determine the things to pack, the sights you’ll see, and the budget for food and activities. You probably don’t consider the things that can go wrong, the process for finding help, and the unforeseen medical bills. And that’s normal. You work hard and deserve a worry-free vacation. Sadly, life doesn’t go on holiday. A health crisis can happen no matter where in the world you may be. To truly relax, you need to feel secure in knowing that you are protected if something were to happen to you or your loved ones during your time away. At PROLINK—Canada’s Insurance Connection we can help you access comprehensive Medical Travel coverage for your trip. Plus beyond simply covering emergency medical costs, we can also help you add lost baggage and trip cancellation endorsements to your policy. Be prepared for whatever happens, wherever it happens. Contact PROLINK to learn more today! If you’re like most pet owners, your pet is your constant companion. So when your little companion unavoidably gets sick, it can be very distressing emotionally. We can all agree that it’s hard to see your once-lively pet refuse to eat or struggle up the stairs. While the veterinarian can offer you hope to cure whatever’s ailing your pet, that cure often comes at a high cost. Many people either have to save up for a treatment, or put themselves in debt in order to afford these unexpected fees. Still, you want your pet to receive the best care available. Purchasing PetSecure insurance through PROLINK can help take away the financial burden of getting your pet the care that they require in times of need. For a small monthly rate, you can receive up to thousands of dollars in coverage for your pet’s accidents, illnesses, and dental care. Sometimes, stuff happens. In the event that you need to make a claim and the situation is urgent or an emergency, help is a phone call away! Contact PROLINK directly at 1 800 663 6828. We will take your claim, confirm your policy and report it to your insurer. Access our after-hours claims service, Kernaghan Insurance Adjusters at 1 800 387 5677, or call your insurer directly and they will loop us in. Please reach out to PROLINK if you ever feel unsure. We’re here for you. "PROLINK" and "PROLINK-Canada's Insurance Connection" are trade names for PROLINK Insurance Group Inc., and le Groupe d'Assurances PROLINK Inc.